You are young or maybe you are not so young, but you are also asthmatic. You have a lot to deal with in your life. Everywhere you go there is something that triggers the wheezing and the coughing and the shortness of breath, but it doesn’t happen all the time and you want to live your life just like any other human being. You try to eat right, you exercise, and you play a mean game of basketball or tennis. For the most part you are doing whatever everyone else is doing and that is something to be proud of. You also look good, and whether you or male or female, you have been known to catch an eye or too. You look healthy and you certainly do not want to wear a sign that says, hi, I am me and I am an asthmatic. Your friends tell you, you will look even sexier if you get yourself a few tattoos. After all everyone is doing it. Why should you be different from anyone else? If you are asthmatic and you are considering getting a tattoo there are a few things that you need to know before forging ahead and just getting one.Asthma sufferers have symptoms similar to people suffering from allergies. 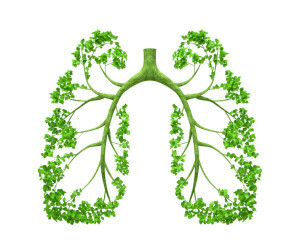 The body sends mucous into the lining of the bronchi (bronchospasm) while the airways are restricted, in order to fight off foreign toxic micro particles, which the body interprets as detrimental to the health of the individual. This is what happens to a person who has allergies, and the same histamines are present in people who are having an asthma attack. The Journal of the German Medical Association has published findings linking the chemicals used in the tattoo pigments to an increased risk for allergic reactions. Since asthma patients must be careful of their environment and the allergens out there, it may have an effect upon them as well. The particular red tattoo pigment in question in this report contains mercury sulfide and many people have mercury allergies. The common reactions to sulfide mercury are increased body temperature and difficulty breathing. However, even if you don’t have asthma, mercury is not a good chemical to be putting into your body. If you are going to have a tattoo done, ask if there are alternative red dyes that can be used. Furthermore, dermatologists are warning consumers that even the harmless tattoos, which show up at all the carnivals and fairs can contain harmful chemicals such as para-phenylenediamine, (PPD). PPD is found in the black henna tattoos and even children as young as four years old are getting these temporary tattoos. Don’t be fooled by the fact that tattoos are temporary and disappear in a few days, they still can cause harm to the body. Dr. Sharon Jacob, reports that as assistant clinical professor of pediatrics and medicine (dermatology) of the University of California in San Diego, she sees more and more children coming in to the clinic with skin problems due to allergic reactions to PPD. Henna is safe, but black henna used to intensify the color and also used in hair dyes may not be so safe. The United States Food and Drug Administration (FDA) does not allow the direct application of black henna onto the skin because of the allergic reactions. However, the tattoo industry is not regulated. 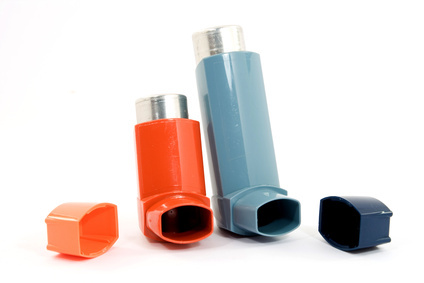 Asthma sufferers may end up with extra mucous in the lungs because of the body absorbing this substance, in addition to the skin rashes that the rest of the population might contract. Furthermore, black henna is known to react with certain medications, which can cause even further damage. To be on the safe side, if you do get a tattoo make sure that there are no mercury sulfide or black henna present in the tattoo applications that you choose.